SMO, is an essential part of Internet marketing that helps a business to increase its reach through different mediums including but not limited to social media websites (like Facebook, Twitter, etc), blogs, forums, and online communities. Social Media Optimization (SMO) is the way to fetch traffics on websites from Social Media like Facebook, Twitter, LinkedIn, Pinterest. 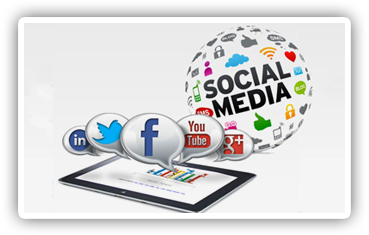 To fetch more traffics on your websites you need perfect way to optimize your website on social media. Sharing quick updates: If you want to announce the launch of a new product, a press release, or important information that should reach your customers, then SMO provides you a superb platform in form of Facebook page, Twitter, etc. Close relationship with customers: When you update something on your Facebook page, Twitter handle or any other such platform, then your customers share their views, which help understanding what your customers need. So, it helps building trust and a strong relationship while giving you chance for betterment. Quick Popularity: If you need quick popularity then you either need to take help of Television Advertisement or SMO Services. With help of SMO, you can get quick popularity.